On Friday 28 November 2014, Commonwealth Department of Agriculture staff at Port Botany detected Red Imported Fire Ants (RIFA) during routine surveillance. DNA testing from the one infested site positively confirmed the samples as a new incursion of RIFA into Australia. Following a successful cross government response, a statistical review of the surveillance conducted at Port Botany concluded that there is a high confidence that there are no further nests within the 2km surveillance zone. The National Biosecurity Management Group unanimously resolved that movement restrictions at Port Botany could be lifted once prescribed baiting and luring commitments have been fulfilled in 2016. Lifting of the movement restrictions will now allow businesses and the general public in the Port Botany area to freely move RIFA host material such as soil, plants and timber. This is a significant milestone in the eradication program. The signed order took effect on 2 May 2016 and was Gazetted on 29 April 2016. Use the online form to report any suspicious sightings immediately, as this pest can spread rapidly. Subscribe to our Red Imported Fire Ants newsletter. The Queensland Government provides more information about fire ants. Learn more about fire ants. 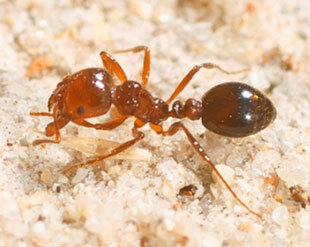 View diagnostic and other images of fire ants. The goal of the plan is to minimise the impact of invasive tramp ants on biodiversity in Australia and its territories by protecting threatened native species and ecological communities, and preventing further species and ecological communities from becoming threatened.